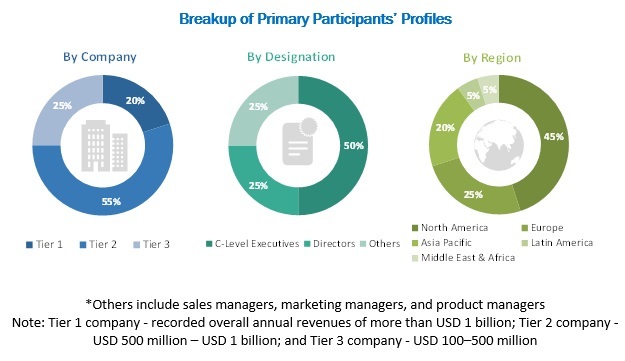 [132 Pages Report] The global Active Network Management Market size is expected grow from USD 682 million in 2018 to USD 1,411 million by 2023, at a Compound Annual Growth Rate (CAGR) of 15.6% during the forecast period. The growth in renewable energy commercialization and increasing demand for uninterruptable transmission of electricity among users will drive the market. Active Network Management (ANM) software helps manage network constraints in real-time to avoid the reinforcement or replacement of existing assets. The technique is employed by Distribution Network Operators (DNOs) to facilitate the connection of renewable generation to distribution networks. The ANM systems maintain and manage the network parameters, such as voltage, power, phase balance, reactive power, and frequency within predetermined limits, thereby increasing the utilization of network assets and reducing infrastructure costs. ANM records continuous measurements required to control demand and the generation of power, while it minimizes network losses, stabilizes systems, and detects faults in real time. Solution segment is expected to hold the largest market share in the ANM market. The ANM software helps DNO to display current load flow and flow direction in networks, and calculates load values, voltage range violations, and overload situations. ANM software are gaining traction due to the increasing demand among enterprises to monitor and control the operations of all network components, such as smaller energy generators, renewable generation, and storage devices. Under application area, the energy and utilities segment is further segmented into oil and gas, electric power transmission, and water treatment and distribution. Among these, electric power transmission is expected to grow at the highest CAGR during the forecast period, due to increasing need to supervise, control, optimize, and manage flows in the transmission systems. Among application area, the power segment is expected to hold the largest market size in the ANM market. The network complexities in power industries are increasing day by day. Active network management software helps power companies meet the challenges of aging grid infrastructures, monitor the power system operations, maintain the balance between power generation and production, and provide a fast and efficient way to restore services after interruptions. North America is estimated to account for the highest market share in the ANM market. Early adoption of ANM software and the presence of several vendors that provide ANM software’s are expected to drive market growth in the region. Businesses in the region are increasingly implementing ANM solutions to better manage network operations across applications in the power, and energy and utilities industries. Major vendors in the ANM market include GE (US), ABB (Switzerland), Siemens (Germany), Schneider Electric (France), Itron (US), Landis+Gyr (Switzerland), Cisco (US), IBM (US), Oracle (US), Smarter Grid Solutions (UK), Indra (Spain), Chemtrols Industries (India), Camlin (Ireland), Ziv (France), and Argand Solutions (UK). In February 2019, ABB launched its new ABB Ability e-mesh solution. This solution would provide power grid operators an integrated, single, and unified view of their Distributed Energy Resources (DERs), such as microgrids, Battery Energy Storage Systems (BESS), and renewable power generation. In September 2018, Indra acquired Advanced Control Systems (ACS), a US-based company specialized in SCADA and real time solutions for operating energy transmission and distribution networks to capture the high growth potential of the energy transmission and distribution networks advanced management market. In May 2018, Itron signed a contract with Jamaica Public Service Company (JPS), an integrated electric utility company and the sole distributor of electricity in Jamaica to provide Itron’s smart grid solution for entire Jamaica. What are new market segments to focus over the next 2–5 years for prioritizing the efforts and investments? What are the new innovations and developments done by the major market players? What are the driving factors, opportunities, restraints, and challenges that drive or hamper the growth of the market? The study involved 4 major activities to estimate the current market size for the Active Network Management (ANM). Exhaustive secondary research was done to collect information on market, peer market and parent market. The next step was to validate these findings, assumptions, and sizing with industry experts across value chain through primary research. Both top-down and bottom-up approaches were employed to estimate the complete market size. Thereafter market breakup and data triangulation were used to estimate the market size of segments and sub segments. This research study involved the use of extensive secondary sources, directories, and databases, such as D&B Hoovers, Bloomberg BusinessWeek, and Factiva, to identify and collect information useful for a technical, market-oriented, and commercial study of the global ANM market. The other secondary sources included annual reports, press releases and investor presentations of companies, white papers, certified publications, articles by recognized authors, manufacturer associations, trade directories, and databases. 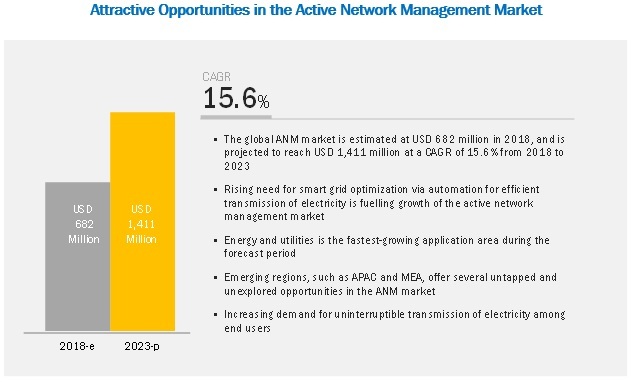 The Active Network Management Market comprises several stakeholders, such as power management system manufacturers, smart grid technology providers, end users such as power generators and energy and utility companies, consulting firms, advisory firms, ANM solution vendors, electrical equipment associations, systems integrators, public and private organizations, technology providers, investors and venture capitalists, consulting firms, and technology consultants, The primary sources were mainly industry experts from the core and related verticals, and preferred suppliers, manufacturers, distributors, service providers, technology developers, and technologists from companies and organizations related to all the segments of the ANM market’s value chain. In-depth interviews were conducted with various primary respondents, including key industry participants, subject matter experts, C-level executives of key market players, and industry consultants, to obtain and verify critical qualitative and quantitative information, as well as assess the market’s prospects. The market was estimated by analyzing various driving factors, rising need for smart grid optimization via automation for efficient transmission of electricity, growth of renewable energy commercialization among the utilities sector, and increasing demand for uninterruptible transmission of electricity among end users. After arriving at the overall market size—using the market size estimation processes as explained above—the market was split into several segments and subsegments. In order to complete the overall market engineering process and arrive at the exact statistics of each market segment and subsegment, the data triangulation and market breakup procedures were employed, wherever applicable. Extensive qualitative and quantitative analysis was performed on the complete market engineering process to list the key information/insights throughout the report. General Electric (US), ABB (Switzerland), Siemens (Germany), Schneider Electric SE (France), Itron (US), Landis+Gyr (Switzerland), Cisco (US), IBM (US), Oracle (US), Smarter Grid Solutions, and Indra Sistemas (Spain), Chemtrols (India), Camlin (Ireland), Smarter Grid Solutions (UK), ZIV (France), and Argand Solutions (UK). This research report categorizes the ANM market based on component (software and, services), application area, organization and region.